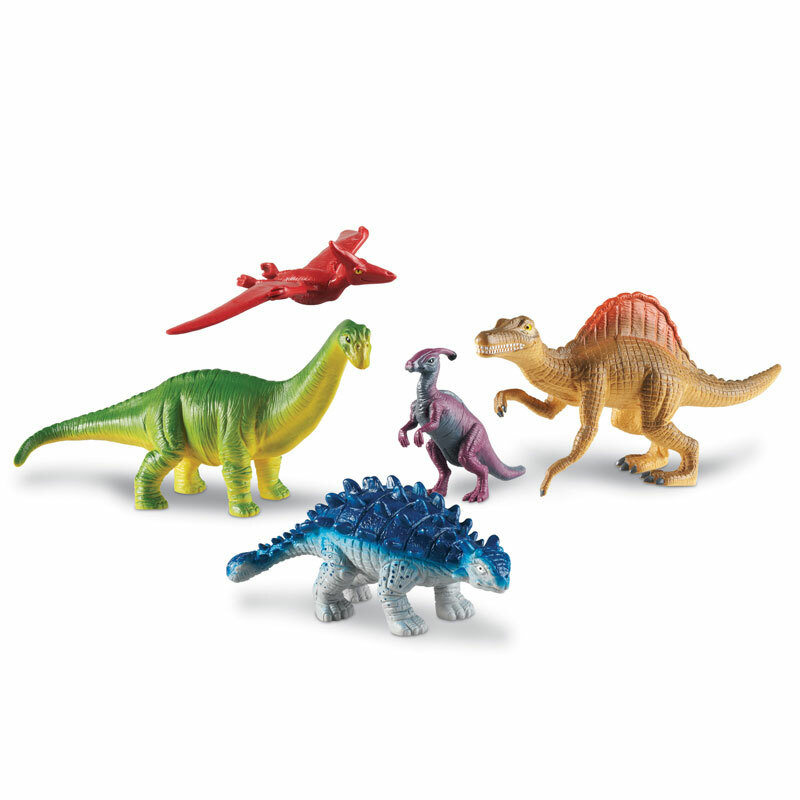 Five colorful, realistically detailed dinosaurs invite imaginative play and develop early vocabulary. Made of durable plastic, these figures are just right for small hands and can be wiped clean. Activity Guide includes animal facts & early science discussion starters. Includes Apatosaurus, Spinosaurus, Pteranodon, Ankylosaurus, and Parasaurolophus. Largest dinosaur (Apatosaurus) measures 13"L x 6.5"H.